The Grade I listed Christchurch Castle is of Norman origin and was originally of a motte and bailey construction. 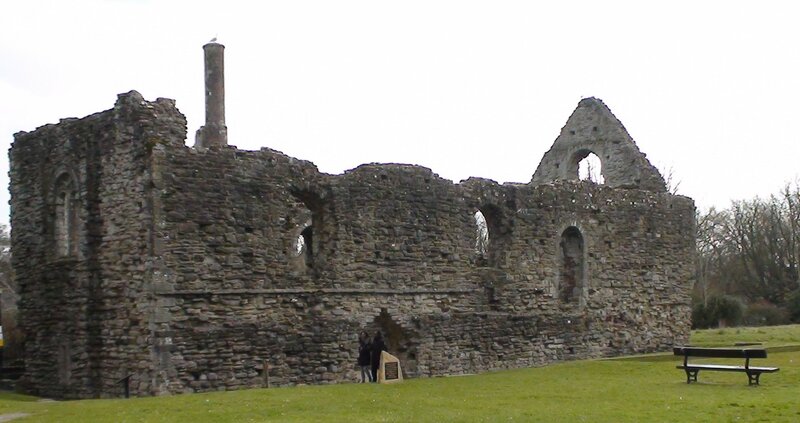 The castle once dominated the town but now lies in ruins and only a couple of the keep walls remain. A castle has stood in Christchurch since approximately 1074 AD when William I fortified the town with a wooden fort on a motte. 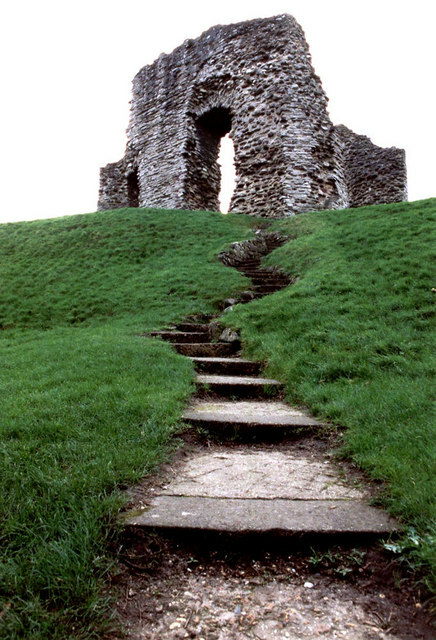 The original wood tower castle was probably built to hold down the inhabitants of the Saxon burgh. The bailey extended to the mill stream and held stables, kitchen and other utility buildings and the elegant stone hall known as Constable’s House. After the Norman Conquest the burgh’s defences were modified with a ditch and bailey surrounded by a wooden palisade. At the start of the 12th century Christchurch was granted by King Henry I to Richard de Redvers first cousin to King Henry I, Richard rebuilt a wooden fort and then in about 1150 a stone hall was built by his son Baldwin de Redvers. The stone keep was added about 1310. The Castle was last garrisoned during the Civil War and a contemporary report of its surrender with a list of its Royalist Officers is printed in the Christchurch Miscellany.2 The castle saw action during the Civil War of 1642–1651 when occupied by the Parliamentarians. Christchurch changed hands a number of times originally under Royalist control, it was captured by Sir William Waller’s Parliamentary army in 1644. Lord Goring briefly retook the town in 1645 and laid siege to the castle. However, the Parliamentarians withstood the siege and maintained their hold in the town. Fearing such a powerful stronghold might once again fall into Royalist hands, Cromwell ordered the castle to be destroyed in 1652 so that it could not be used should there be an attempt by the Royalist to put Charles II on the throne. 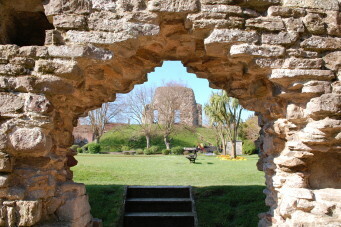 For an experts review of Christchurch Castle see article on this website. Within the curtain wall of the castle stands the Constable’s Hall, known more commonly as Constable’s House, a Grade I listed Norman dwelling. Much of the building’s stonework remains, including a rare example of a Norman chimney and the privy which extends out across the mill stream. Constable’s House probably built about 1160 of stone and was defended by cross bow loops to the north and east, covering the Avon. The ground floor was a storeroom, whilst the first floor hall was the room in which men lived and slept with a portion to the south enclosed as a Solar, or private chamber, for the feudal family women and children. The hall had a large fireplace with a fine Norman chimney, one of only five examples in England. A stair tower in the north east corner of the wall lead from the ground to the crenellated wall walk from which long bow archers could command the Avon at the river crossing at Town Bridge. The roof of the Hall was probably covered with Plympton slate. The main entrance to the Hall was from a wooden stairway inside the bailey. Constable’s House underwent a number of improvements over time. A toilet, or garderobe, was built over the millstream to provide the facility to the private chamber on the first floor. 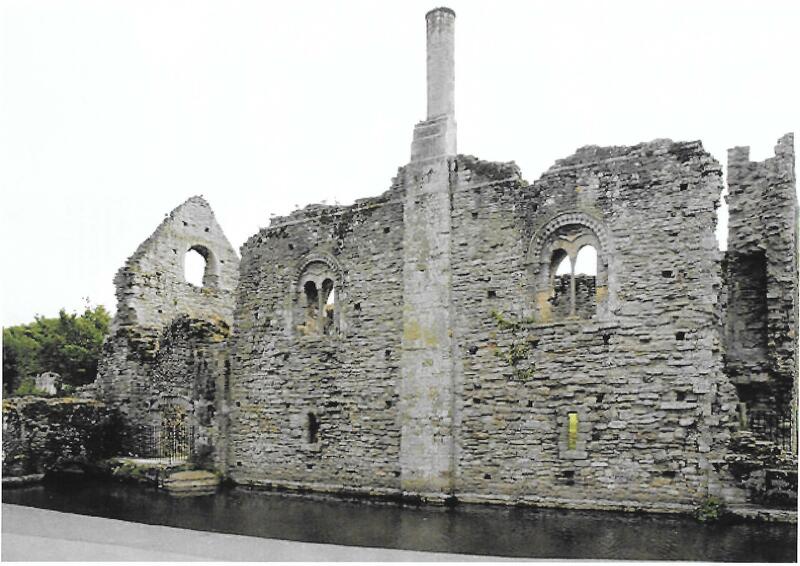 A doorway was cut through the east wall of the storeroom to enable direct access to the millstream when Baldwin de Redvers made an agreement in 1257 with Christchurch Priory to enable his boats free passage along the millstream. This gave access for casks of wine to be reloaded at Town Quay onto flat bottomed salmon punts which could enter the Mill Stream via Gin Door, which became a fish trap. 2 “Christchurch Miscellany” is a compendium of contributions that were painstakingly sorted and collated by the Christchurch Local History Society, now Christchurch History Society, and issued in 1996 by the Society as a bound limited edition. To refer to the document please contact the Christchurch History Society through the Archive page of this Website. 3 For more information see “Christchurch – A Brief History” by Michael Hodges. Published by Christchurch History Society.